took over the 492 kitchen last fall. this rich dacquoise from 492 pastry chef Amanee Neirouz wraps layers of hazelnut meringue and espresso buttercream in sinful chocolate ganache. Sear Genius: Plancha-grilled short ribs deliver a nutty crunch when crowned with popped sorghum. Expertly charred squash rosettes and tender Brussels sprouts round out the presentation. From Mary Street, peek through the chain mail curtains of 492, past wingbacks the size of plush thrones, past couples scooping shaved truffles onto sunchoke wafers, and past individual diners flanking the chef’s tasting counter. There stands a spacious, glowing, open kitchen, where cooks busy themselves searing massive dry-aged porterhouse steaks in short bursts of heat or crowning caramelized halibut with garlicky aioli and a scattering of fennel powder. To the right, calmly expediting orders in his newest position as executive chef, stands Josh Keeler. Some locals would balk at the sight of Keeler in this setting. We had all grown quite attached to him as chef of petite, funky neighborhood eatery Two Boroughs Larder, which he and wife Heather closed abruptly this past July after five successful years of fulfilling our yearnings for towering cheesy burgers, umami-packed ramen, and pork scrapple. We had taken the Larder for granted (it didn’t hurt that the couple’s corgi, Walter, made for an adorable mascot), so when it closed, Charleston foodies let out a groan of collective despair and waited for Keeler’s next move. Six weeks later, he was announced as 492’s new chef. We can all agree that 492 is drop-dead gorgeous. Until a few years ago, the 19th-century building had stood vacant for decades following Hurricane Hugo. Propped up by support beams, its bricks so loose you could wiggle them out of the powdery mortar, it sat forlorn, with empty lots for neighbors. That is, until businesswoman Anita Zucker swooped in with ample funding for a proper overhaul, hiring architect Reggie Gibson, who not only saved the building but expanded its footprint. Now, a side patio brims with tropical palms, ferns, and a fruiting olive tree. Herbs and lettuces grow in a burbling hydroponic garden out back. Inside, decorative tin, salvaged from the attic, wraps the bar. Amber pendants cast a warm glow over tufted velvet banquettes, and a divisible community table sports solid mahogany of proportions no longer existent in nature (this oldie was rescued from the bottom of a river). 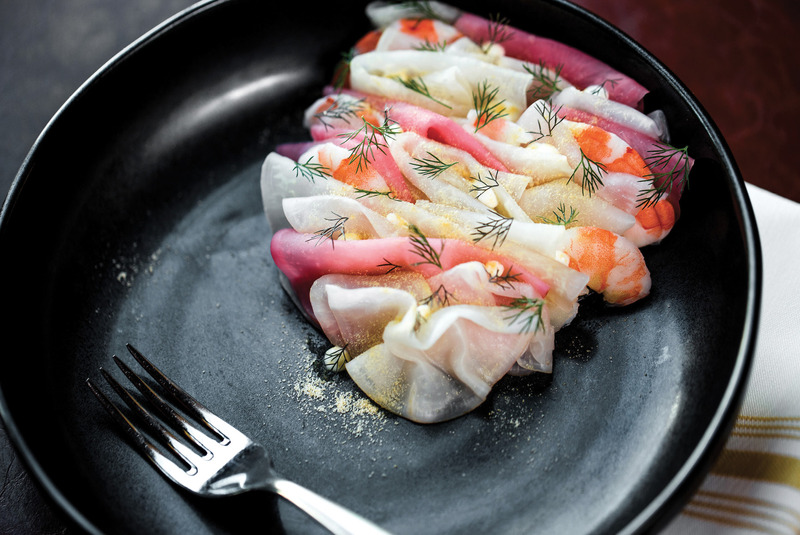 The restaurant got off to a shaky start in 2015 under chef Nate Whiting, whose meticulous, artful small plates were accused by some of being too small: technically masterful but short on ultimate satisfaction. In September of 2016, Whiting exited to spend more time with his children and regroup. Enter Keeler. At first, changes were subtle, so as not to jar existing patrons. But by now, he has clearly hit his stride. 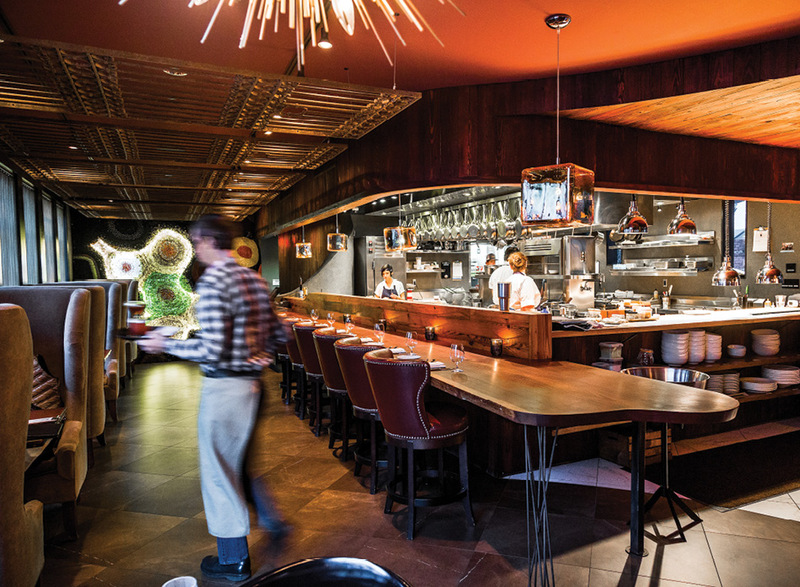 Keeler’s dishes straddle the seemingly disparate worlds of comfort food and haute cuisine. He’s gunning for both refinement and craveability. Unlike the old menu, which divided dishes into somewhat confusing themes (land, sea, grains, garden, etc. ), the new menu lists dishes in order of how filling they are, many of them shareable. You might start with the shishito pepper snack (or its seasonal equivalent), addictive and exotic due to a dusting of nicely acidic house-made lime salt and furikake powder, hinting at seaweed and sesame. Even simple popcorn defies expectation. Cooked from heirloom blue indigo kernels grown by farmer and miller Greg Johnsman on Edisto Island then tossed with naturally salty nutritional yeast, the popcorn’s light coating of butter has been steeped overnight with toasted kernels, amplifying flavor. In other words, it tastes more like popcorn than popcorn. Cauliflower velouté translates literally to “velvet,” an apt name for this classic French sauce poured tableside with theatrical elegance over a scattering of cauliflower florets and king trumpet mushrooms. This dish’s genius lies in the inclusion of tiny dots of hazelnut and golden raisin purées, revealing themselves in alternately sweet and nutty bursts with each creamy spoonful. Keeler has plans for a Clammer Dave’s clams dish that will conjure loaded baked potato flavors by soaking toasted skins in a milk base and finishing with sour cream, a carryover from his years of experimentation with clams at the Larder. 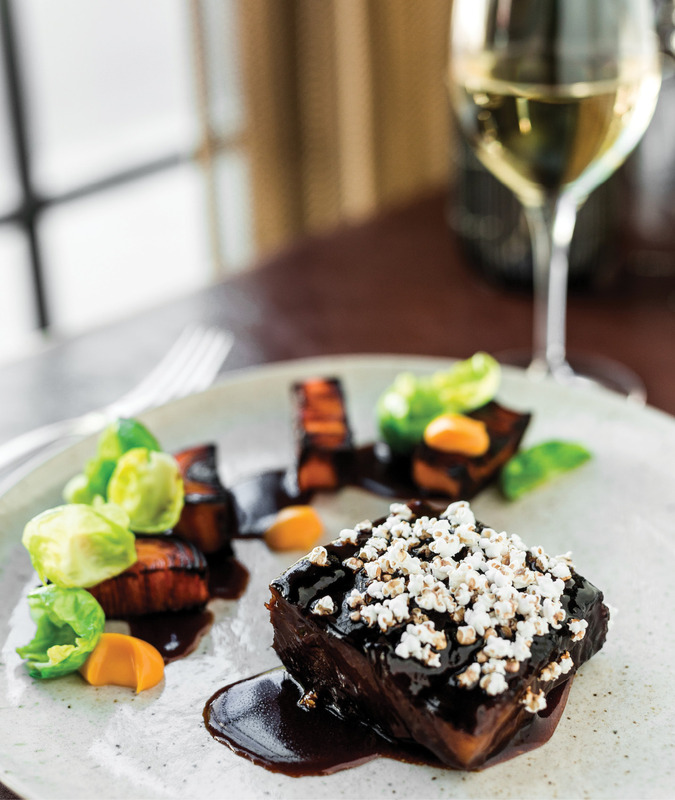 His short rib entrée heralds the tenderness and heavy char of your favorite aunt’s pot roast. It’s soul-warming stuff, coupled with cutting-edge technique that surprises in texture, taste, and presentation. The squash accompanying said short rib is tightly fashioned into the petal formation of a camellia blossom, then crisped on the plancha grill. Dishes are, in short, as beautiful to the eye as they are pleasing to the belly. For all the remarkable changes going down at 492, there are carry-overs, too. 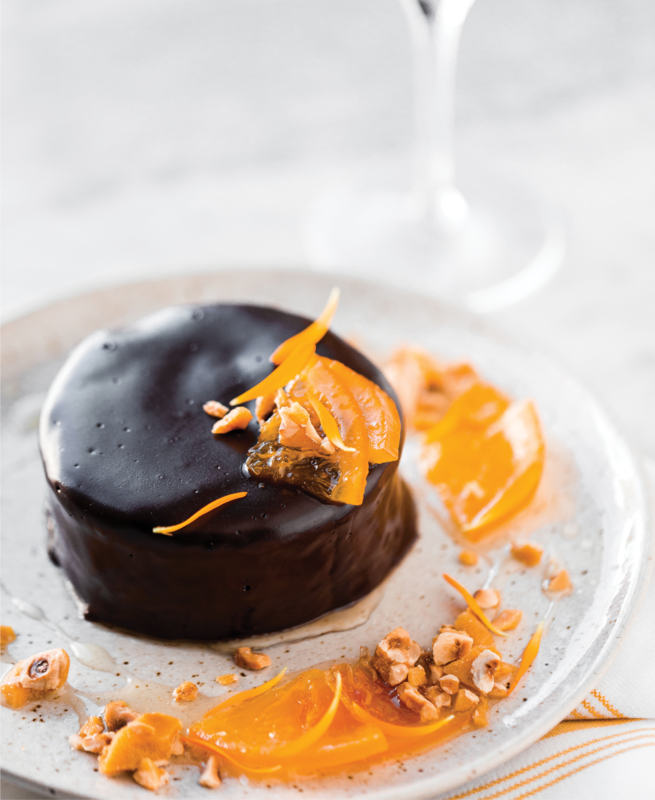 Those familiar with the tasty creations of pastry chef Amanee Neirouz need not fret. She’s still wielding the rolling pin, creating pillowy pain au lait that marries well with Keeler’s cultured butter—a supremely noshable combo. Neirouz also has surprises up her sleeve, like her newly launched sourdough cinnamon rolls at brunch or dinner’s generously portioned hazelnut dacquoise drizzled in chocolate. 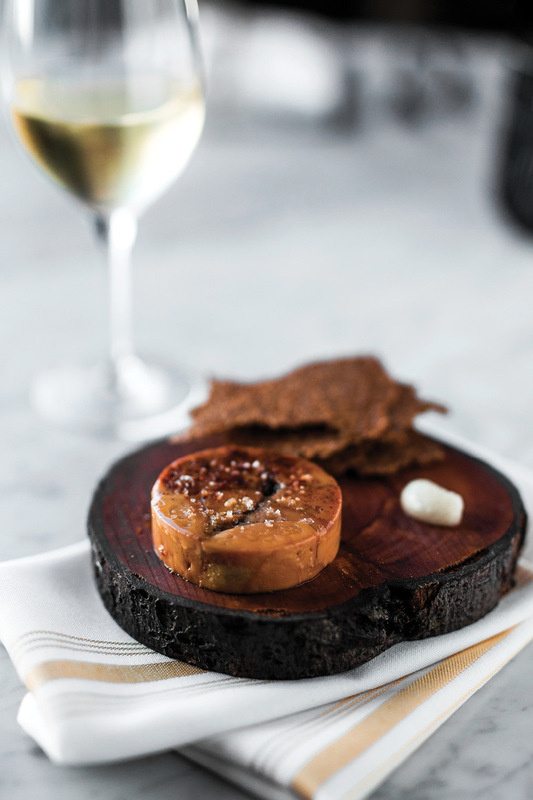 And though the wine list is slowly shifting to better reflect Keeler’s style, the menu of classic craft cocktails maintains its creative twists. People become attached to chefs in certain positions. 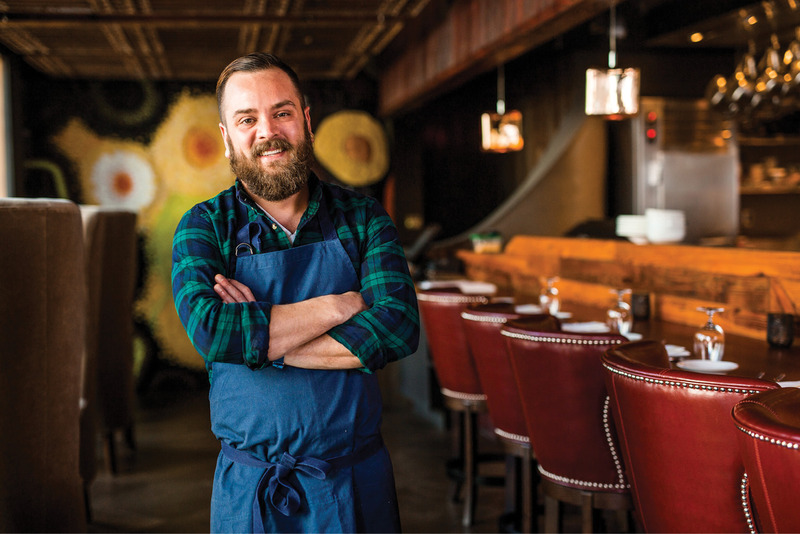 Whiting had his own loyal following, and Keeler aims to win those diners over. There are plenty of locals who would have wanted Keeler at the stoves of Two Boroughs Larder forever. But we must remember that before the chef arrived in Charleston, he worked in prominent, highly technical, large-volume kitchens in Philadelphia, and we certainly shouldn’t pigeonhole him into one mode of cooking. Lucky for Keeler, he is no longer the one tasked with unclogging his kitchen drain at 2 a.m. (a perk of running your own business). 492 allows him to focus on what he loves most: food. And where Keeler goes, we should follow.